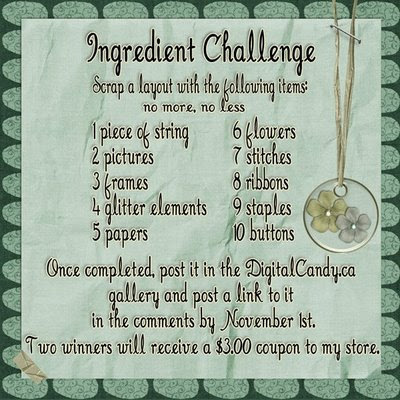 Here is my ingredient challenge layout. What a challenge! If you want to participate in the challenge visit Christie Lemmon Design's Blog. 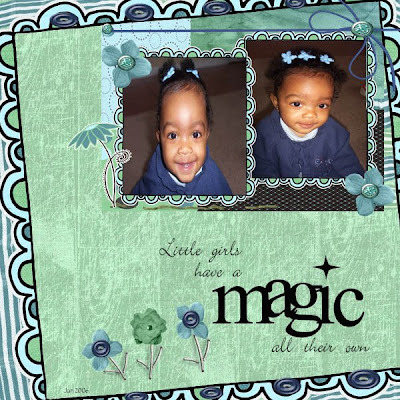 I used In Dreams Collab Kit by Christie Lemmon Designs and Steel City Scraps. I also used elements from Steel City Scraps, Adventurous Ky, Castle on a Cloud and Delirious Love.